Vic Clay, Leonard Kasza, Chet Calcote, and Frank Bowen interviewed December 2009. Gene Clay wasn’t always known as the founder of the most popular country band in Lamar, Colorado, The Arkansas Valley Wranglers (more commonly known as the Ark. Valley Wranglers). The southeastern Colorado fiddler had a day job. In 1949, when Gene wasn't fixing cars, he and his pre-teen son Vic played dance halls around the region. But by 1953 the father and son act decided to expand the band and soon added the talents of Lucille Doney on piano, and Gilbert Austin on drums, along with teenagers Leonard Kasza on steel guitar, and Las Animas fiddler, Chet Calcote. “I regularly performed during a Saturday evening country music show on KLMR radio in Lamar when I met Vic and Gene,” said Leonard Kasza. “I was only 14 or 15, and wasn’t old enough to drive yet, so my Mom would take me to the radio station." 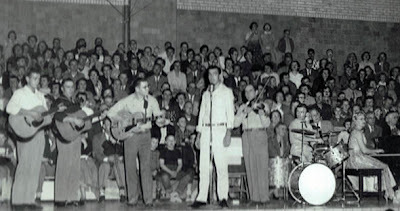 The Wiley High School student, who played both mandolin and steel guitar, was quickly recruited to join the band. Chet Calcote recollects a similar experience. "I was a Las Animas High School sophomore. I was playing guitar and singing for school functions and my folks thought I should be on the KLMR show - so they drove me over there. Afterward Vic and Gene asked me to join." With the line-up complete, the Ark. 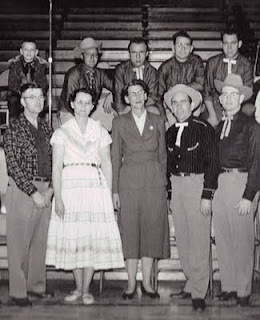 Valley Wranglers performed at nearly every available venue in the region, including the Spot 50 Tavern in La Junta, and the Eagles Club in Lamar. “We played lots of Elks clubs, VFW halls, American Legion halls, high school dances and proms,” said Vic Clay. In 1955 both Leonard Kasza and Vic Clay joined the U.S. Army. Chet moved to Pueblo to attend college. The original Wranglers took a hiatus, but Gene Clay continued to remain active in the local music scene. About that same time brothers Frank Bowen and Dave Warren’s country rock band, The Rhythm Ranch Boys (not to be confused with Speedy Ross and the Rhythm Ranch Boys out of North Dakota) had an idea for a record. Knowing very little about recording or the music industry, they turned to Gene Clay. “He had some pull at the local radio station. He said he would help us, but wanted to put his band’s name on the record.” So the Rhythm Ranch Boys morphed into the Ark. Valley Wranglers. 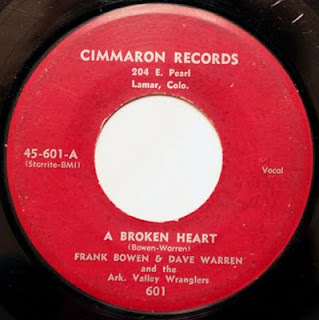 Listen to "A Broken Heart"
The flipside, the Bowen and Warren composed “Rock and Roll Blues” was a set to a “Heartbreak Hotel” style melody, and featured Warren's popular impersonation of Elvis Presley, who owned the record charts in 1956. Listen to "Rock and Roll Blues"
“We knew that every woman was after Elvis so we figured that no matter who you were, if you had a girlfriend, you better be careful,” said Bowen. 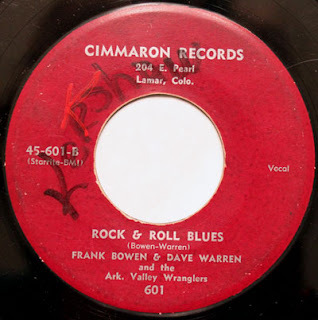 The record was issued through Starday, on the band’s own Cimmarron label. Frank and Dave would spend the next year with the Wranglers, when tragedy struck – their guitar player Willie Allen was killed in an automobile accident. “Another member of the group joined the Navy, and we all just kind of fell apart,” Bowen said. Vic Clay continued to work in the music industry, after he was discharged from the U.S. Army, in 1958. He found success playing guitar for the Rex Humbard ministry. After his time with the Cathedral of Tomorrow, he began recording spiritual artists, including J.D. Sumner and the Stamps, The Florida Boys, The Hoppers and The Cathedrals. He and his wife Toni have received numerous Dove Award nominations for their production work. Currently he lives in Nashville. Chet Calcote went on to host the Rocky Mountain Round-up on KCSJ radio in Pueblo (as Chet Lee), as well as the weekly Colorado Corral program on KCSJ television. In 1958 he moved to Tulsa to play bass in Leon McAuliffe's Cimarron Boys, of which he was a member for four years. He moved to the Texas Panhandle, where he performed in the house band at the Country Barn Steak House for twelve and a half years. He is also a member of the jazz band, Pizzazz, as well as Charlie "Sugartime" Phillips and his Sugartimers. He has been inducted into the Western Swing Society Hall of Fame in 1999, the Western Swing Music Society of the Southwest and the Western Swing Hall of Fame in 2005, and the Western Swing Music Society in 2007. Leonard Kasza worked in several Austin, TX area bands, including Grassfire, Blue Norther, and Cedar Valley. He currently plays steel guitar for the Taos New Mexico-based band, Kim and the Caballeros. "Although Gene Clay didn't teach me to play the steel guitar, he taught me to be a musician. An enduring piece of advice he gave me was give the audience all you have; leave them wanting to hear more," he said. "Being in the Ark. Valley Wranglers was a great experience." Frank Bowen continued to perform and record in Denver, after he left the Ark. Valley Wranglers. He moved to North Carolina, where he worked in the insurance industry. He is currently retired. Dave Warren never performed again, after his time with the Ark. Valley Wranglers. He went on to work for the Denver Police Department. He is currently retired in Missouri. In 2006 the original Ark. Valley Wranglers, Vic Clay, Leonard Kasza and Chet Calcote, reunited after 52 years to form the Retro Wranglers. They recorded a CD, Yesterdays Dreams. 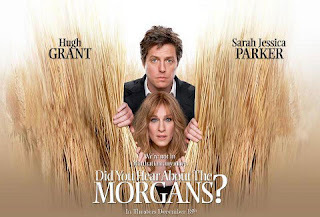 The Retro Wranglers' version of Bob Willis' "Please Don't Leave Me" is featured in the 2009 motion picture soundtrack Did You Hear About the Morgans, starting Hugh Grant and Sarah Jessica Parker.